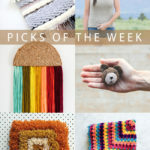 Latch hook is a great craft for a few reasons. 1. 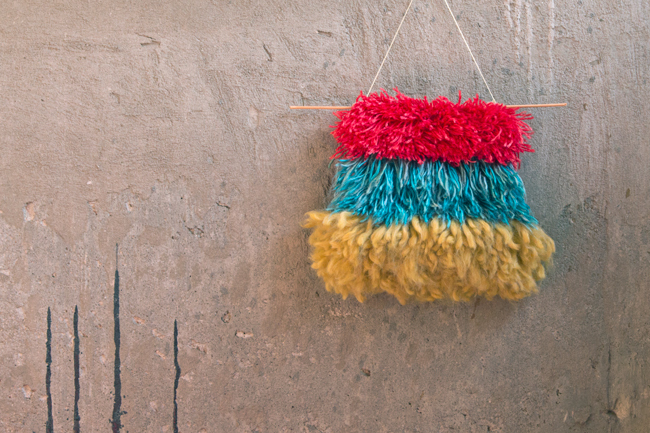 It’s an awesome way to use up your yarn ends and scrap yarn (hello, knitters & crocheters!). 2. 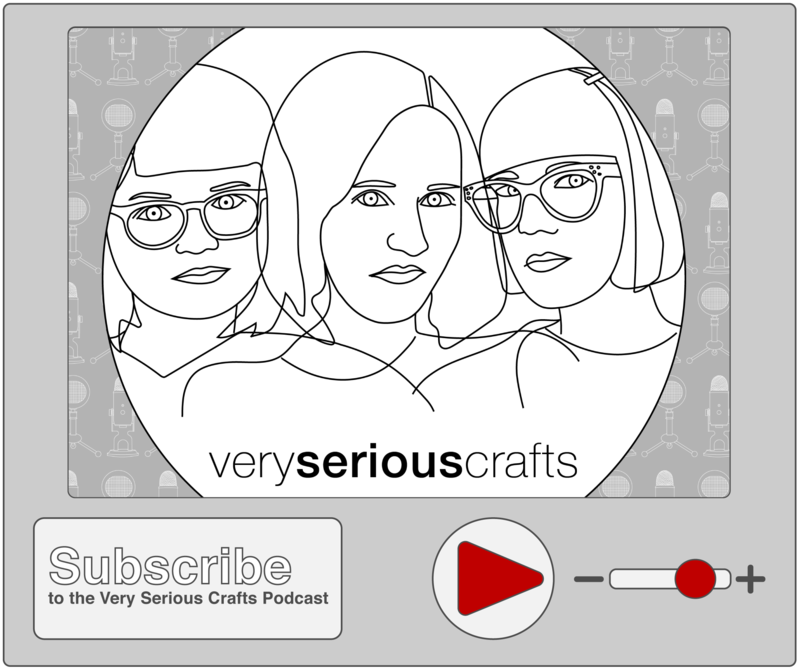 You can make any project as quick and simple or as epic and ginormous and crazy as you like! 3. It’s a craft that’s accessible to so many folks, regardless of age (latch hook is famous for its kid-friendliness) or skill level. 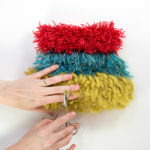 You can learn to latch hook very quickly, even if you’re not a super crafty person. Today, we’re sharing a pattern for a basic latch hook wall hanging featuring three kinds of yarn cut into different lengths. 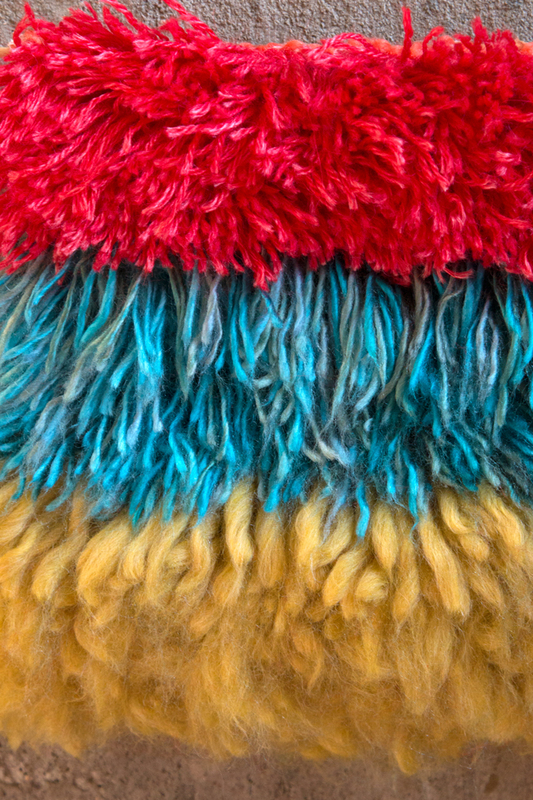 The varying lengths and textures result in a visually interesting finished project that adds some color and whimsy to your home decor. You can absolutely use whatever yarn colors, styles, combinations, etc. to customize the look of your finished latch hook project. Or you can follow the exact method outlined below if you like! For this design, the Color A (red) section is worked with three strands of Berroco Folio yarn cut into 4″ lengths & held together. (The coloway pictured is called Bailey.) You cut this thinner yarn into 4″ lengths, but hold three strands together as one to for each stitch of this latch hook pattern. The Color B (blue) section is worked with one strand of Red Heart Boutique Unforgettable yarn in the Tidal colorway, cut into 6″ lengths. The Color C (yellow) section is worked with Berroco Macro yarn in the Snowy Owl Eyes colorway, cut into 8″ lengths and split in half. 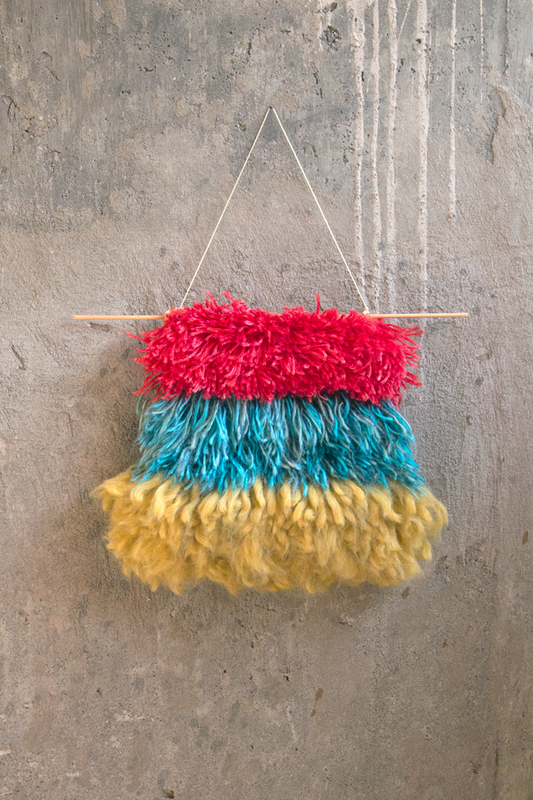 You cut this bulky yarn into 8″ lengths and pull them apart into two pieces before latching them onto your rug canvas. Using a latch hook tool and standard latch hook stitch (here’s a tutorial if you’re new to latch hook), attach your yarn to your rug canvas according to the following chart. 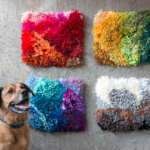 Don’t forget to center your latch hook work on the canvas, leaving a minimum of a 1″ border of unused rug canvas around all sides of your work for finishing. 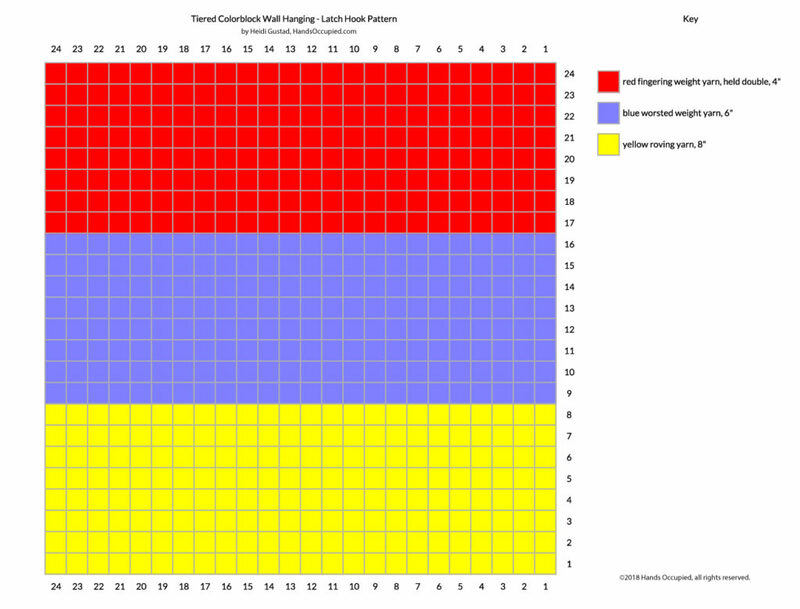 Click here to view larger chart. Finish the back of your project according to these directions. 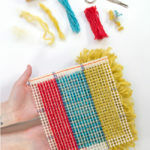 To prepare your wall hanging for, well, hanging, you can use a whip stitch to sew your 12″ long dowel to the top of your hanging. After that, simply tie an additional piece of string around the dowel, just left and just right of your latch hook canvas. 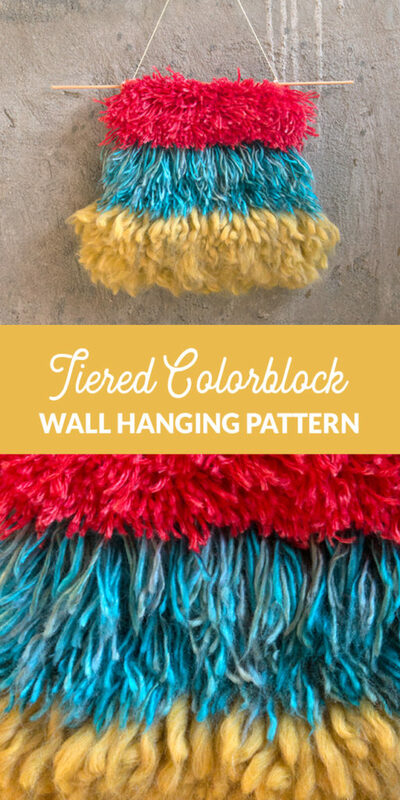 With that, your Tiered Colorblock Wall Hanging is complete!